The Shoton Festival began in Tibet at Drepung monastery in the 1830’s to celebrate the end of Yarney, a month-long retreat led by monks. Crowds from Lhasa would visit Drepung and offer the monks yogurt and various dairy products. ‘Sho’ means yogurt and ‘ton’ means feast. 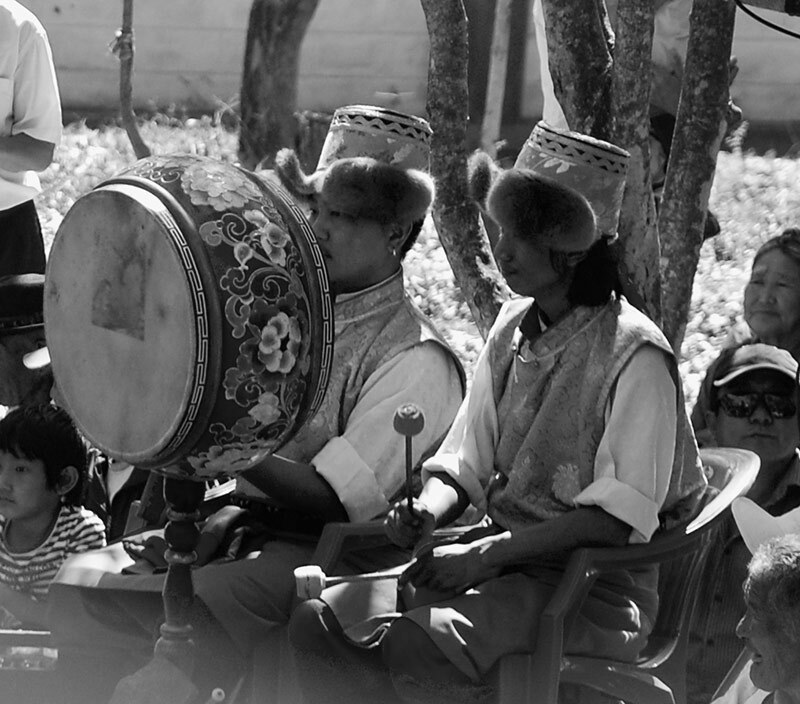 For a whole month the lay people and monks would celebrate the summer and invite opera performers and the festival quickly became widely popular. 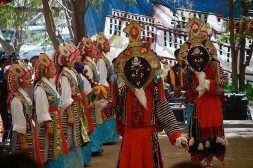 During the Shoton Festival, different opera groups perform folktales that take place in Tibet and India. Later on, when His Holiness the 13th Dalai Lama would move to Norbulingka, his palace for the summer, the Shoton Festival would take place there. 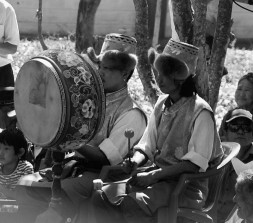 However since the Tibetan community in exile settled in India, they have tried to preserve this unique tradition and playful propagation of morality. 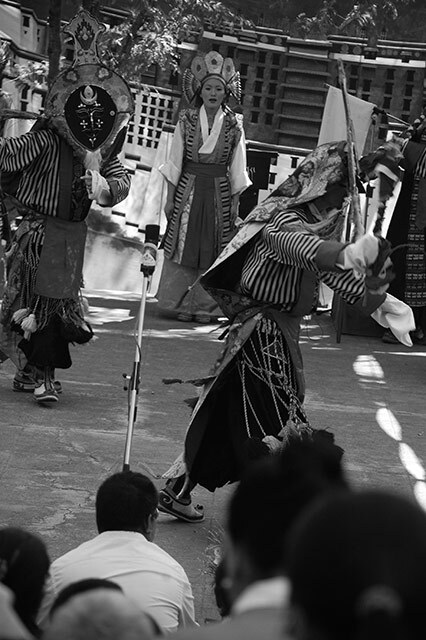 TIPA – Tibetan Institute of Performing Arts has been trying to carry this tradition forward by organizing a Shoton Festival on a small scale every year since 1972. The 18th Shoton Opera Festival took place in Kollegal at the Dhondenling Tibetan Settlement between the 24th of February and the 2nd of March 2013. This event was funded by the Dalai Lama Trust and organized by TIPA. 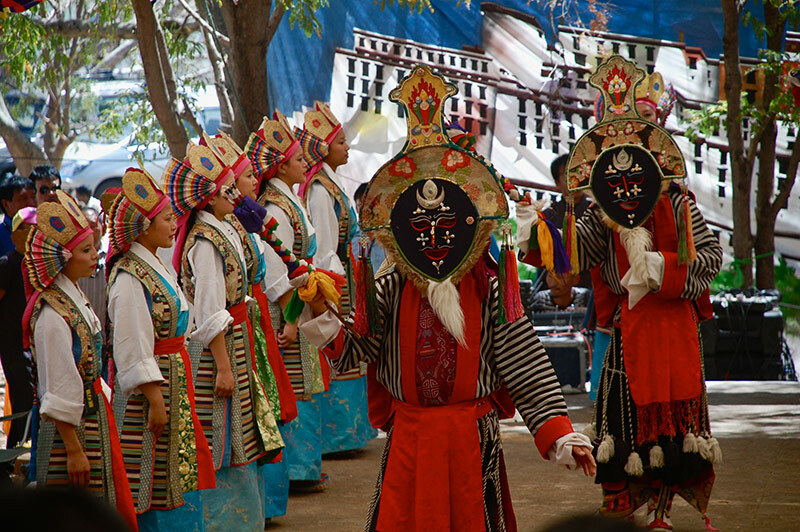 Six groups arrived to perform at the festival – The Tibetan Opera Association from Kalimpong performed Prince Pema Woebar; the Nepal Tibetan Lhamo Association performed Drimet Kunden; Tibetan Opera Association, Bylakuppe, performed Sukyi Nyima; Tibetan Opera Association, Norgayling performed Chungpo Donyoe; Tibetan Opera Association, Doegueling, performed Prince Norsang and TIPA on the last day performed Nangsa Woebum. This opera integrates singing, dancing, theatrics and elaborate costumes. One performance would last up to 6 hours as performed in India. In Tibet a performance of one story could go on for FEW DAYS! This playful story telling is full of morals and teachings that common people without much knowledge of academia can understand and enjoy. The trust has mainly funded the program with TIPA and representatives of the Kollegal Tibetan Settlement organizing the logistical aspect of the show. The funding has gone into the travel allowances and lodging for all six performing groups- each of which consist of around 25 people. The tent and stage, costumes, meals and rehearsal spaces were all part of the festival’s organization. The audience consisted of about 2,000 people, with the elderly making the majority and the most entranced spectators. These artistic traditions make up a large part of a culture’s identity and we are very honoured to contribute to the preservation and continuation of the immensely rich traditions of Tibet.